Week 1 of Arts March was amazing. Just under 300 people piled into Northfield Baptist Church hall to join us at our Music! Dance! Draw! Event. You danced, you drew, you laughed, you ate our cake and drank our coffee and even gave us some cash for charity. You lovely lot you. here comes Arts March week 2!! This sat (12th March) we are back at Northfield baptist church AND at Grieves hall in Kings Norton at the exact same time. 2 events. Yep. Lush eh. 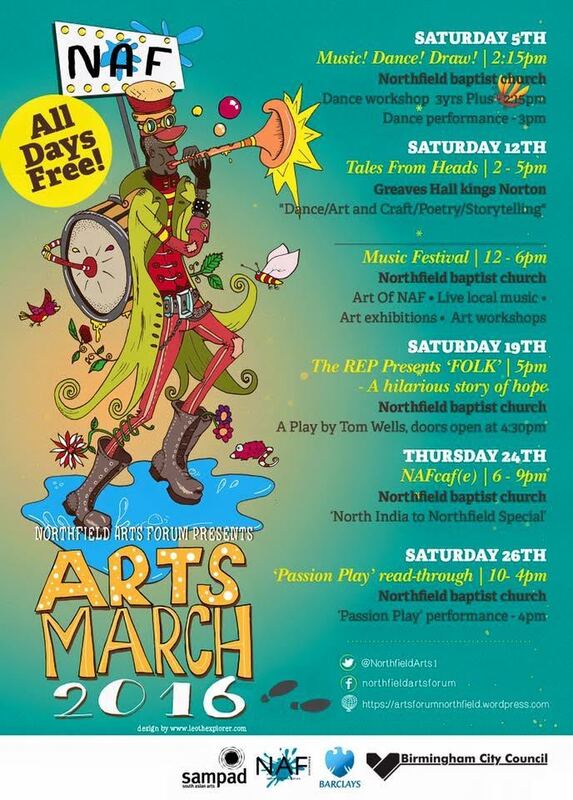 So this sat at the baptist church we have live music all day, plus a pop-up art gallery of NAF work plays local artist showing their work (bring some art if you want to show it) also arts and crafts workshops for all ages, but very very child friendly. Finally, we will have bread and soup all day (and tea and coffee and biscuits) made from surplus food from local supermarkets. WE also have Tales From Heads, a story telling and poetry day, with arts and craft and dance all day long too!! Get yourself along and bring your family and friends. WE do need more volunteers to help too, so let us know if you fancy it. Also, if you want to help with our new NAFzine, a online and small print local arts magazine, let us know ASAP!! First issue will be out on 24th March. Art of NAF is 12pm to 6pm. Drop in anytime. 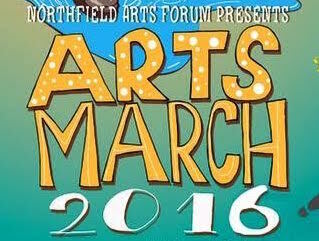 Northfield Arts Forum provides/ facilitates /connects arts of all kinds. We work in & with the communities of Northfield, Kings Norton, Weoley and Longbridge. We’re a team of volunteers, we aim to recognise & inspire creativity where we live.